In this unique & sacred work, individual sessions are crafted in a natural and holistic approach to assist people keenly interested in healing and recovering consciousness and spirit. Lasting and impeccable healing happens energetically. We approach the root cause(s) where issues and patterns are held. This is facilitated, through a process, so you can begin to clear what is in the way of holding greater light and your integrated soul. My work is facilitated where deep tendencies and inclinations are blocking and disrupting one's Soul full, natural and beautiful self-expression & experience. My sessions are designed to guide people in a process so they may hold greater vibrational tune and balance with harmonious emanations helping to promote better health. My healing work is crafted at the level of the chakras, luminous body and tuned energetically to enhance your transformation. I offer a powerful heart-based approach to Healing assisting my clients to uncover & realign to their true life's mission. It is the Heart and Soul dynamically engaged that leads the process of healing. Our Creator blessed us with the wisdom and essence of our Heart and so it is through the Heart that you forge through your spiritual development. The Heart is being re-sensitized, attuned and re-ignited in a powerful life-affirming way. It is with the engagement of the Heart that the Soul develops in consciousness and opens the way as it is our birth right to be authentic and Soul-full. Often times, In this natural, progressive and wise process we also recognize our heart needs healing as well. Koginka Sewaluna Foundation, For Mother's Earth Wisdom Preservation. Our service offers the profound re-connection to our Cosmic Mother, the Great Mother of All. 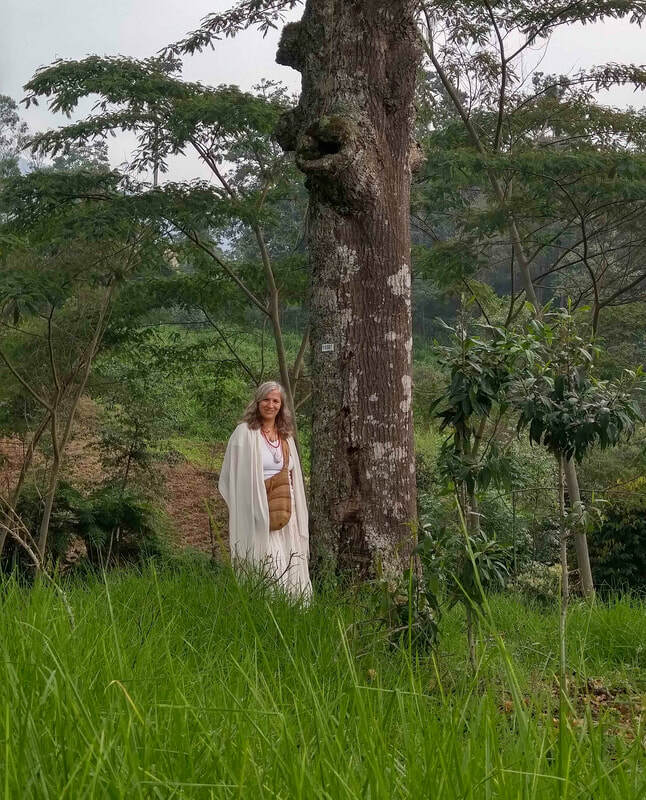 This work is deeply rooted in the Art and Act of "Sacred Reciprocity" to bring harmony and balance within and to assist our natural environment in a coordinated effort while simultaneously recovering consciousness of the Holistic Wise Ways of the Divine Mother. As humanity grows in consciousness through a wise and natural process and holds a more refined, higher, vibrational energy it actually helps Mother Earth as we are able to extend a more integrated pristine energy. This energy, our Pure Essence, is expressed as Sacred Reciprocity. The Sacred Act of Reciprocity creates harmony, balance and energetic integrity for our community, humanity and nature to support our eco-energetic life-sustaining systems. My service & unique & sacred healing work is practiced with the Heart in commitment to help and assist Souls. It is with integrity, gratitude and honor that I look forward to working together with you on your healing journey. Please follow these links for detailed information about Healing services i offer, to find out about; Regine, my Full Package Healing Services, my credentials with Xolar Vibronics School, to contact me for a free consultation, what I offer and read our most recent articles. How to Begin? I invite you to reach out and contact me about your interest in healing and what i offer. I can assist you at any level in your healing journey. ​Certified Healing Practitioner, Holistic Educator & Coach. ​Xolar Vibronics School, Center for Holistic Healing Education & Wholesome Living. and is not intended to diagnose, treat, or cure any disease or medical condition. Copyright © Heart Earth Healing, no content or pictures is to be copied for any use.